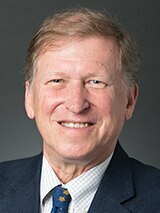 Felix J. Lockman, Ph.D., is the Green Bank Telescope Principal Scientist at the Green Bank Observatory, a facility of the National Science Foundation. He did his undergraduate work at Drexel University and received his Ph.D. from the University of Massachusetts Amherst. Dr. Lockman’s area of research is the structure and evolution of the Milky Way and nearby galaxies, with a special emphasis on radio observations of neutral hydrogen. He was project scientist for the Green Bank Telescope during its construction phase and then moved to the Green Bank Observatory, where he was the site director for six years. Dr. Lockman’s research has involved studies of the ionized, neutral atomic, and molecular gas in the Milky Way and nearby galaxies. He has published numerous articles in professional journals and edited several books, including Gaseous Halos of Galaxies and But It Was Fun: The First Forty Years of Radio Astronomy at Green Bank. Dr. Lockman’s 1990 review article on hydrogen in the Milky Way, coauthored with Dr. John M. Dickey of the University of Tasmania, is the most cited publication in the history of the National Radio Astronomy Observatory. In 2013, he was elected as a fellow of the American Association for the Advancement of Science in recognition of his significant studies of neutral hydrogen in our galaxy and others, and for his service to U.S. radio astronomy.